In terms of aesthetics, brows are for the eyes what hair are for the face: Crucially Important! That is because they work as “frames”.Well groomed, suitable for the shape of face and harmonious with our hair colour and skin tone, all determine the perfect eyebrow. Brow pencils, powder eye shadows and gels, help us achieve the best looking brows. I use eyebrow pencils to fill the gaps on the outer parts of my eyebrows,which have been put through hardship from excessive teasing-a habit of my mine since I was kid. Even though I have used gels and powder shadows in the past, I think that pencils give a natural finish and I would strongly recommend them when the issue is just filling gaps. 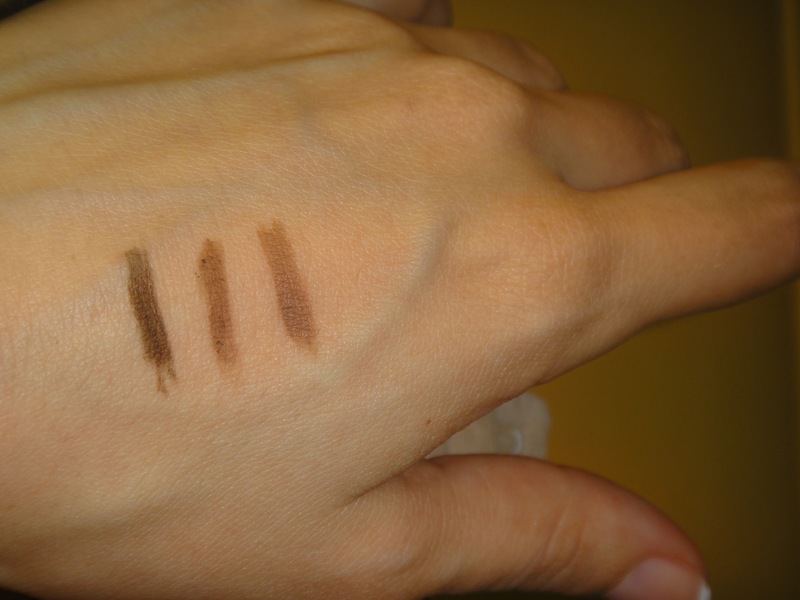 On the other hand powder shadows and gels, are recommended for building an eyebrow and give it thickness and texture. 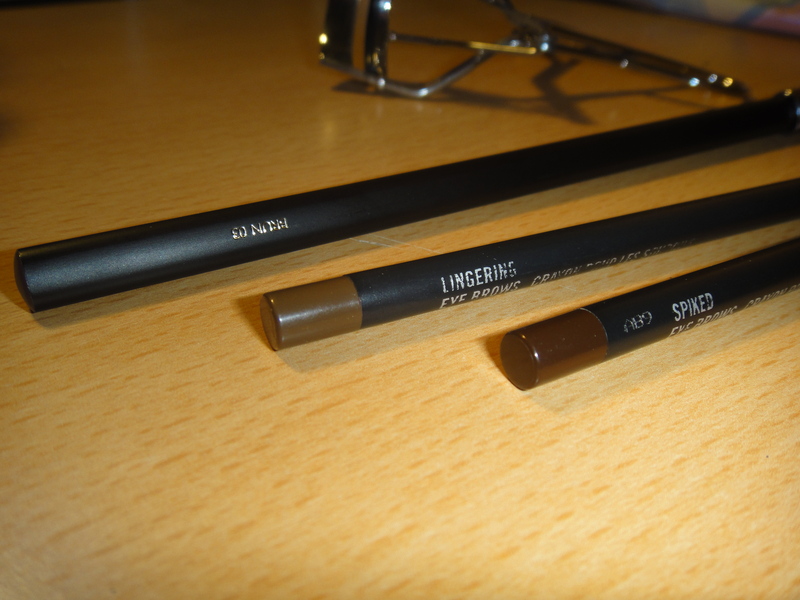 In this post I will review Guerlain’s eyebrow definition pencil and Mac’s brow (automatic) pencils. To begin with, Mac’s automatic pencils have always been on the top of my list because they are very easy to use, portable and cost effective. There are 6 shades in total (from ashy blond to black). I own two shades: Spiked and Lingering because I change my hair colour quite frequently. 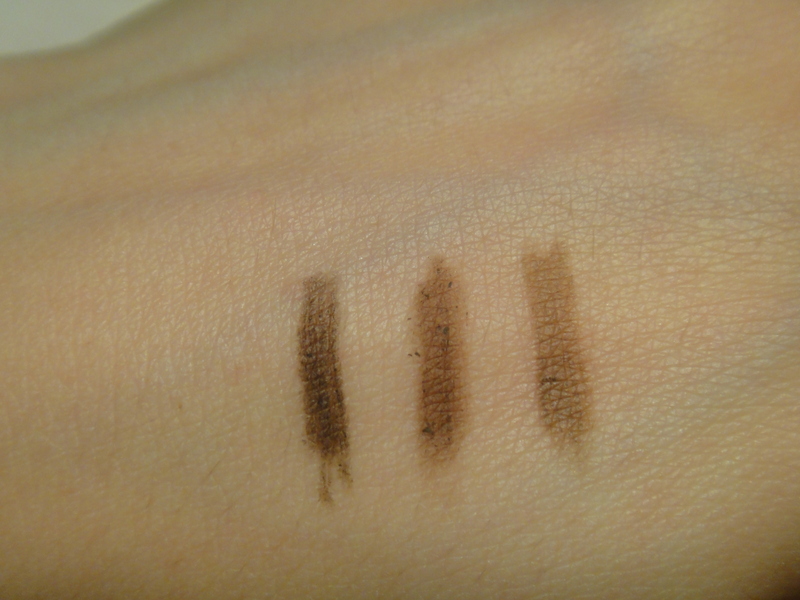 Spiked is a dark flat brown or “rich brunette” according to Mac’s site, while Lingering is a “soft taupe brown” according to the same source. Spiked should be used carefully as it can instantly create an intense brow which may also look fake. Therefore I suggest you check yourself at the mirror from distance, after every few strokes. The product glides softly and it stays for more than 7 hours. The pencil lasts 6-8 months if it is used daily, just for filling and it costs 65 Dhs. which is about 13 Euro. Here you can have a look at the range. 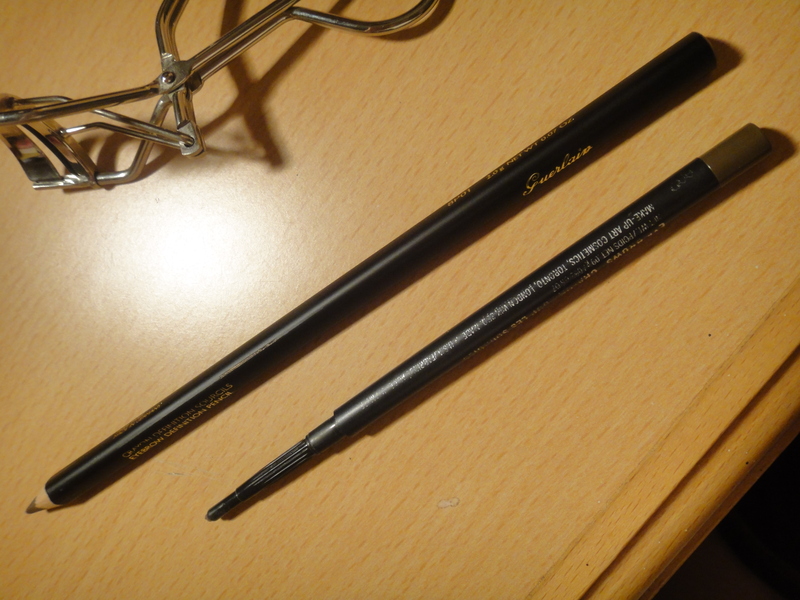 Eyebrow Definition pencil from Guerlain, is a product I discovered a month ago but soon became a favourite. The pencil has a triangular shape (which can fit in a regular sharpener) and it comes with a short handled brow-brush combo, which is very practical for trips and a small sharpener. The product is quite waxy and I suggest you to warm it up on the back of your hand before use it. There are 3 shades in total, 01 Blond, 02 Chatain and 03 Brun. Blond is a soft taupe and Chatain is a darker, ashy blond. Brun which you can see at the picture above, is a brown similar to Spiked but a bit lighter. Comparing these two, Brun is not as flat as Spiked and it has a touch of red which makes it more natural looking. I have to mention that recently I turned from dark brunette (think of Megan Fox) to a sandre blonde (think of Jennifer Lopez) and I still use my Guerlain pencil on my brows, just with a lighter hand than before. 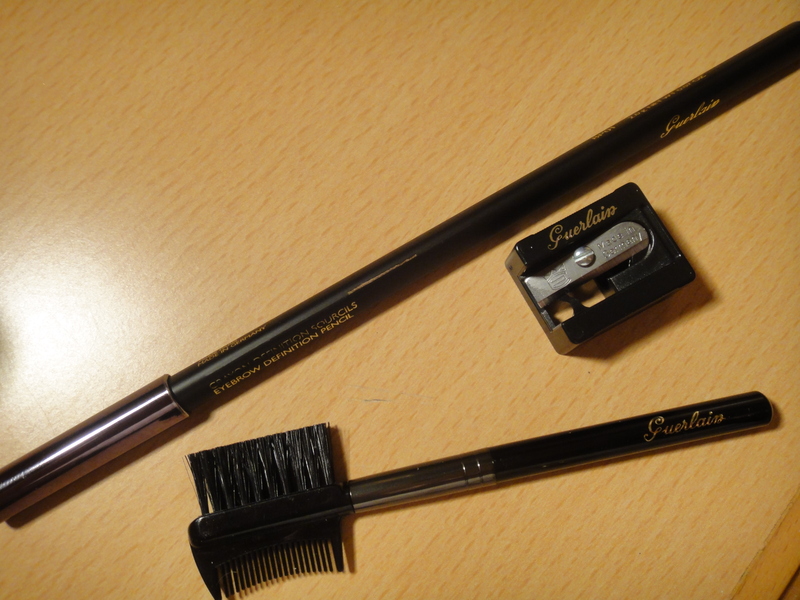 Guerlain’s Eyebrow Definition pencils cost 125 Dhs.,which is 24 Euro. Check out the pencils in here. What is your favorite product for eyebrows? This entry was tagged eyebrows, guerlain, mac, make up. Bookmark the permalink.